Ginger root shows potential in treating skin inflammation and wounds. 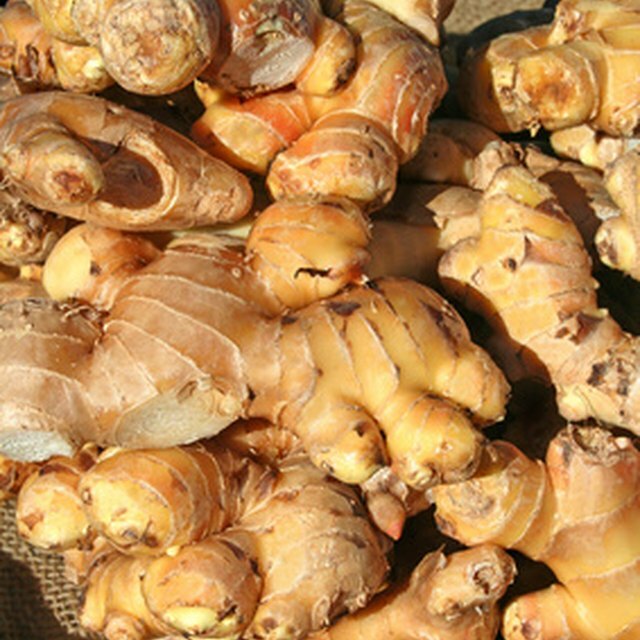 The ginger root, Zingiber officinale, has a long history of medicinal use. Early American colonists concocted ginger beer to ease nausea and vomiting. The ginger root, botanically called the rhizome, comes in various forms, such as tea, extract or pills. Research on the benefits of ginger for skin is relatively new. Before trying ginger extract as a remedy, consult your doctor first. The ginger plant flourishes in tropical climate and is grown in Jamaica, India, China and as southern parts of the United States. Many health benefits derive from its rhizome, a thick, underground stem that stores starch and produces both roots and shoots. Though ginger rhizomes are not a source of vitamins or fiber, they hold antioxidant properties thought to offer health benefits. Ginger may play a role in reducing acne and skin inflammation. The University of Maryland Medical Center cites a study in which a combination of ginger and other medicinal plants reduced skin lesions. Through laboratory studies, scientists S.C. Penna and coworkers explored the potential benefits of ginger extract on skin disorders. In their 2004 publication in "Phytomedicine," authors found that ginger extract reduced skin edema, a type of inflammation. Ginger is one of many herbs known for skin-protective properties. Laboratory studies from the University of Cleveland show the potential of ginger extract for preventing tumors. Authors in a 1996 report in "Cancer Research" stated that topical application of ginger extract inhibited development of skin tumors. Ginger acts as an antiseptic when applied to small cuts or abrasions. Research published in a 2009 edition of “Wound Repair and Regeneration” highlights the potential use of ginger extract in wound healing. 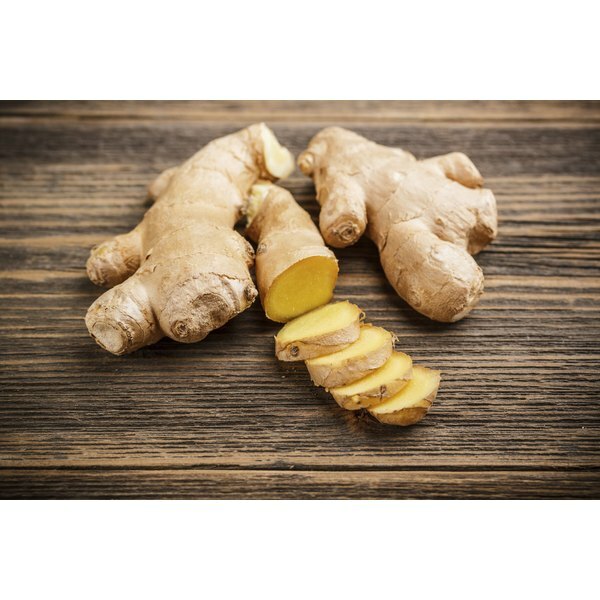 Author N. Bhagavathula and coworkers found that rodents pretreated with a topical application of ginger extract showed fast wound healing and collagen production. These results suggest a possible use of ginger extract in improvement of skin structure and wound repair. Phytomedicine; Anti-Inflammatory effect of the hydralcoholic extract of Zingiber officinale rhizomes on rat paw and skin edema; S. C. Penna, et al. Cancer Research; Inhibition of tumor promotion in SENCAR mouse skin by ethanol extract of Zingiber officinale rhizome; Santosh K. Katiyar, et al. Food and Chemical Toxicology; Cancer preventive properties of ginger: A brief review; Y. Shukla, et al.